Game Preview: All That Cash Easy Money! What you see is what you win in All That Cash: Easy Money! High 5 Casino’s 201st game arrives soon! 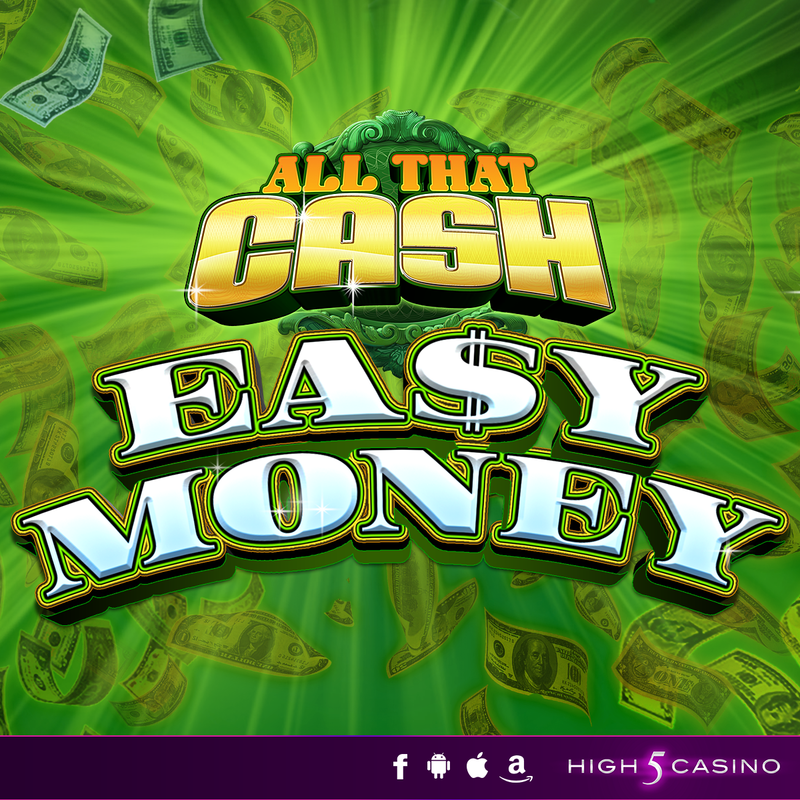 Quick and easy as 1-2-3, get your hands on All That Cash: Easy Money! All reels are active during play and you can bet on different colors with various payouts. Any symbol appearing on the reels of a color you bet on is a winning symbol. And just like that, win cash in a flash! It’s time to make easy money in this classic slot game. What you see is what you win in All That Cash: Easy Money! All That Cash: Easy Money. What you see is what you win! 3 by 5 reels. Special Features: Scatter Pay and Customized Payouts. Check the YouTube video below and get ready to make easy money on your High 5 Casino Reels! Are you ready to win? Comment in the conversation bubble located on the top right corner of your screen and let us know! This entry was posted in game preview, Game Release, High 5 Casino, High 5 Games, High 5 Moments and tagged 3 by 5 reels, All That Cash Easy Money, Android, App Store, Apple, Customized Pay outs, Facebook, Free Games, game preview, Game Spotlight, High 5 Casino, High 5 Casino Mobile, High 5 Games, iOS, iPad, iPads, iPhone, iPhones, mobile gaming, Scatter Pays, slots, social gaming by hoothigh5. Bookmark the permalink.